When you’re away from home in some of the world’s most glamorous cities, you can still wrap yourself in the world of Versace. 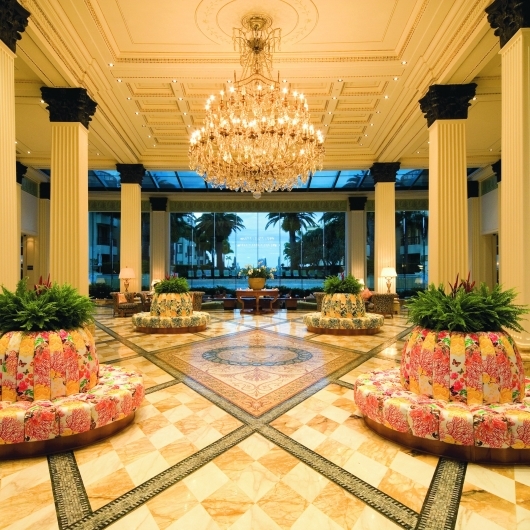 In addition to clothes, housewares and accessories, including jewelry and watches, Versace was purportedly the first high fashion brand to get into the hospitality business, creating magnificent palazzi to luxuriate in. 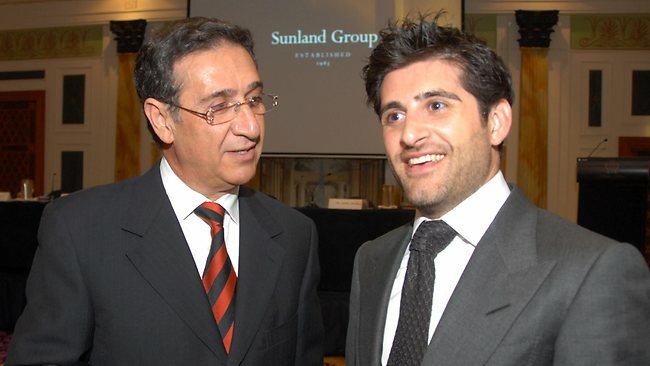 The Palazzo Versace was actually the idea of Soheil Abedian of the Sunland Group. In 1997 he brought the proposal of a Versace branded hotel to the Versace family who thought it would be a great extension to their company. 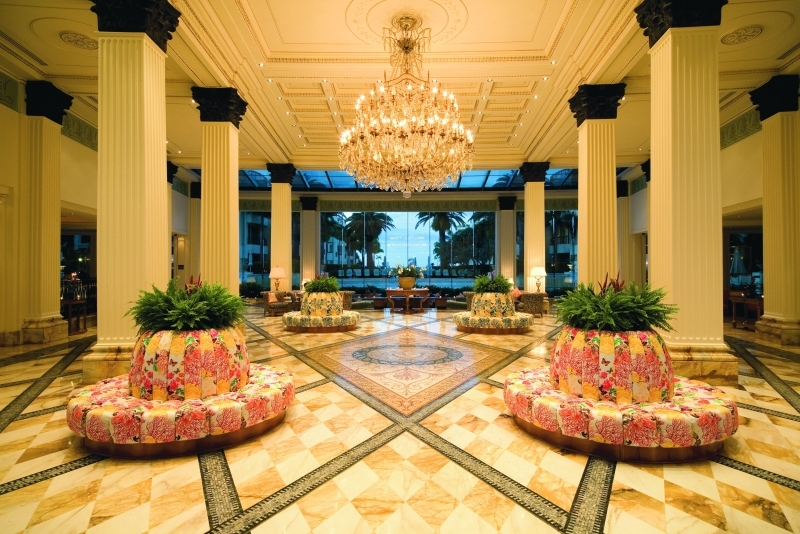 Abedian believed that now deceased founder of Versace, Gianni Versace, who loved architecture, would appreciate a Versace hotel for weary travelers to shop, relax and lay their heads after an exciting day. 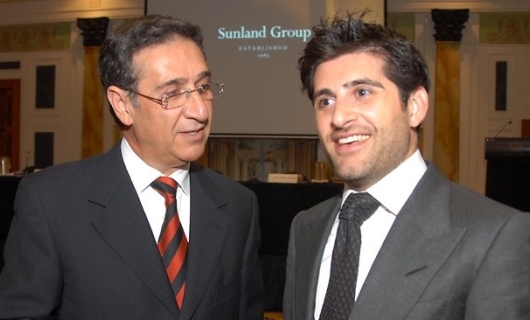 Abedian’s plan could work because at that time Versace was the only fashion house that had a home collection and could completely outfit a hotel with essentials such as pillows, fabric, porcelain, cutlery, etc. 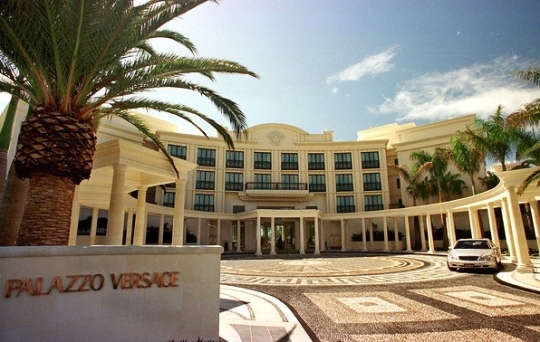 By September 2000, the first Versace Palazzo was open for business in Southern Queensland, Australia in Gold Coast Broadwater. The first location was chosen because of the year-round temperate weather, perfect for yachting, diving, golfing, surfing or just lazing on the golden beaches. Many attractions also call this location home like Sea World, Dream World and the Warner Brothers Movie World. Shoppers will be in heaven starting with Versace’s signature boutique in the lobby where they can get the hottest fashions and designed products. A short distance away is the retail precinct of Marina Mirage where more designers offer their wears. After or before getting bags full of goodies there are the options of going to the theater, browsing the galleries, admiring the architecture, gambling in the casinos or tasting wine at the wineries. For those with an appreciation of nature, there is the World Heritage National Park. 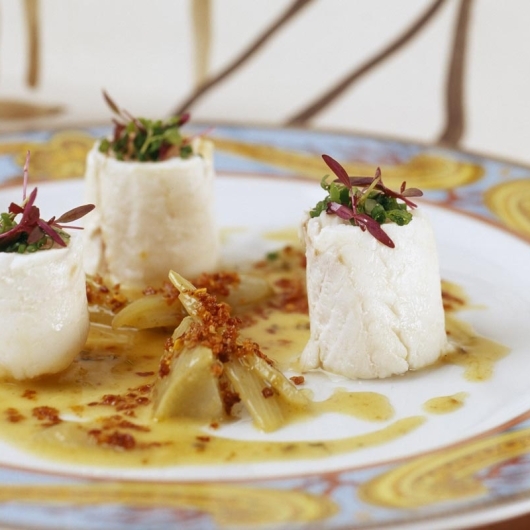 Afterwards, come home to the Palazzo and dine in one of three world-class restaurants. 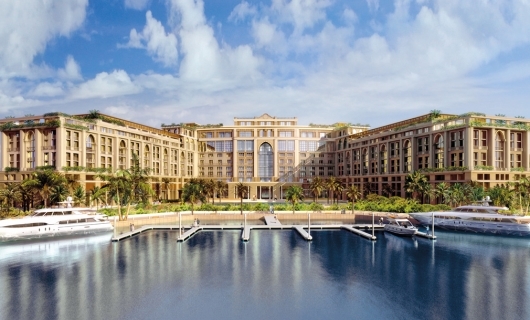 After the success of the Gold Coast Versace Palazzo location, another Versace Palazzo is under construction in Dubai in Culture Village on the foreshore of Dubai Creek. 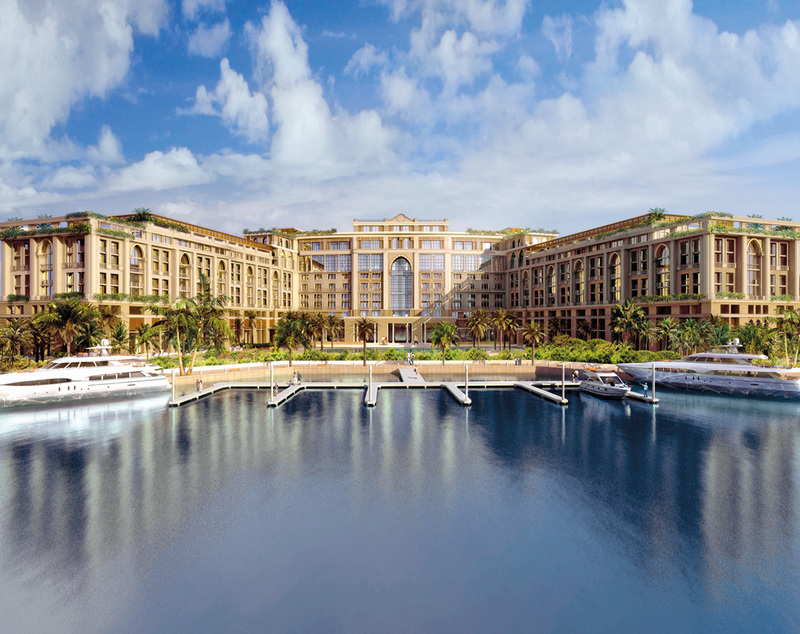 Palazzo Versace Dubai will be the centerpiece of the 40,000,000 square foot area that will include a harbor, dockside developments and cultural and exhibition centers. 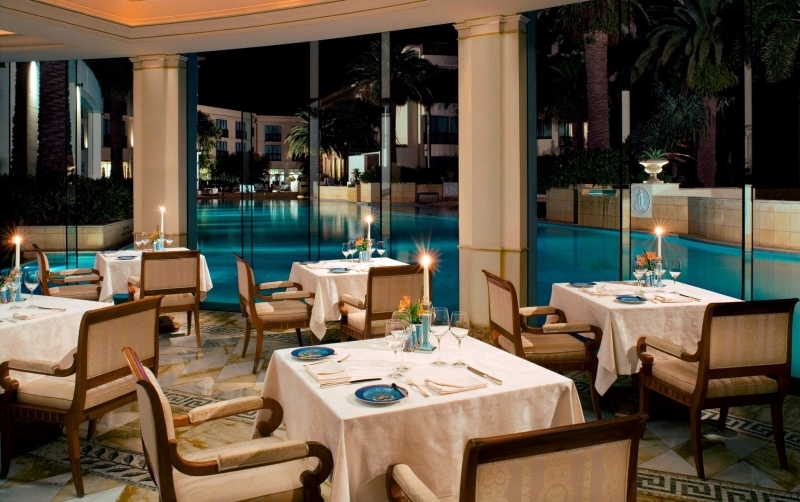 If you thought Palazzo Gold Coast was decadent, wait to you see what’s in store for Dubai. The facade will be a spectacular sight with patterned fenestration, ornate pediment, along with glazing and arched windows. 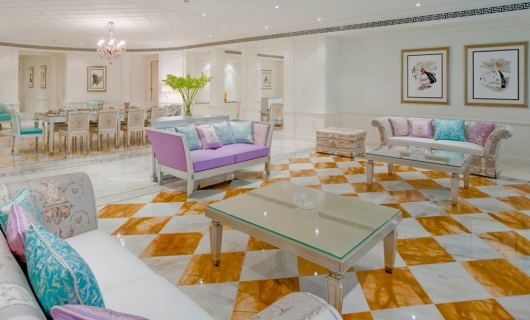 While about 90% of the artisans working on Palazzo Dubai are living in the United Arab Emirates, an Italian mosaic expert is developing the hand-cut marble and glass tesserae that will make up a mosaic inside the Palazzo. Like the Gold Coast, Versace chose Dubai for a Palazzo location because Culture Village is planned to be a historical hub of Dubai featuring museums, souks, galleries, museums, designers and quaint cobblestone walkways. Developed on 1,400,000 square feet, it will include 146 rooms and 58 suites. 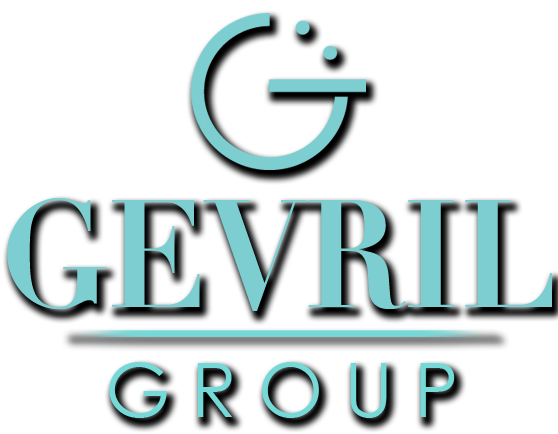 There also exists an option to purchase condos and penthouses. Public spaces will surround the area showcasing artifacts, sculpture and art within landscaped gardens featuring promenades, reflection pools and terraces. 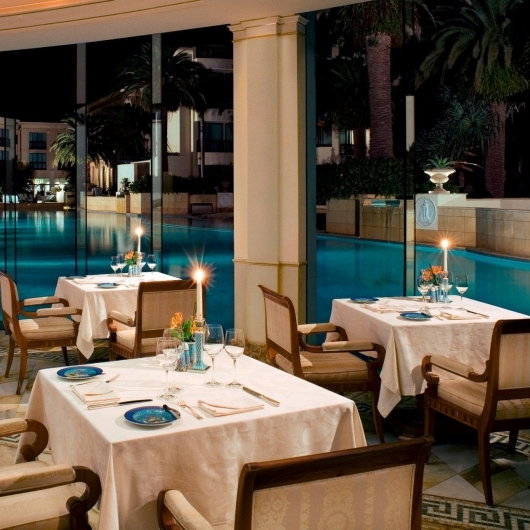 Palazzo Dubai is its own little oasis. 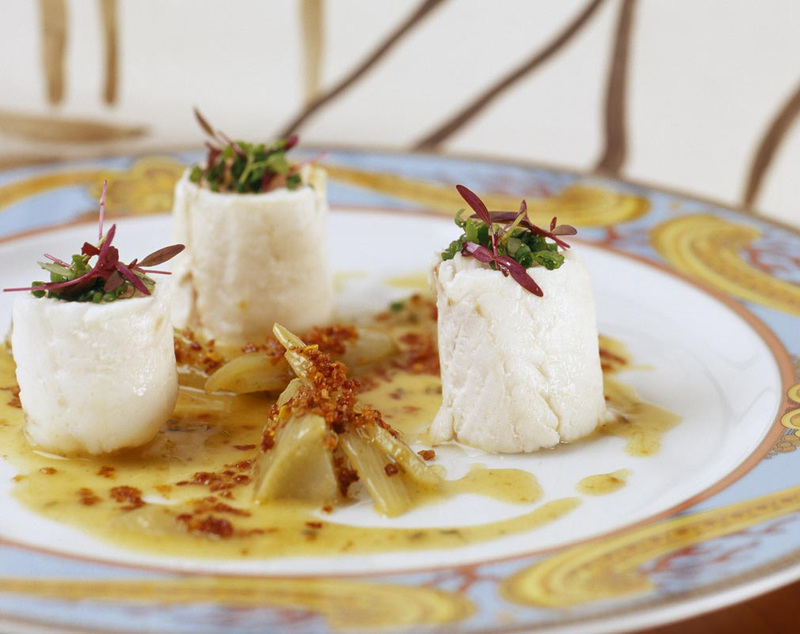 Inside the Dubai Palazzo will be restaurants of the same caliber found in the Gold Coast Palazzo, as well as a spa, meeting rooms, bars and pool bars. 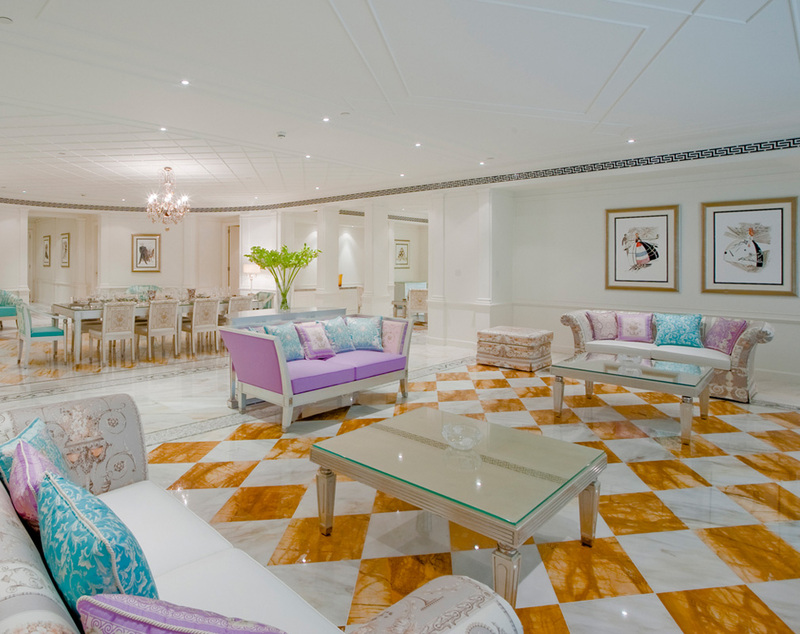 Of course, the rooms will be equally lush, outfitted with Versace branded linens, furniture, etc. 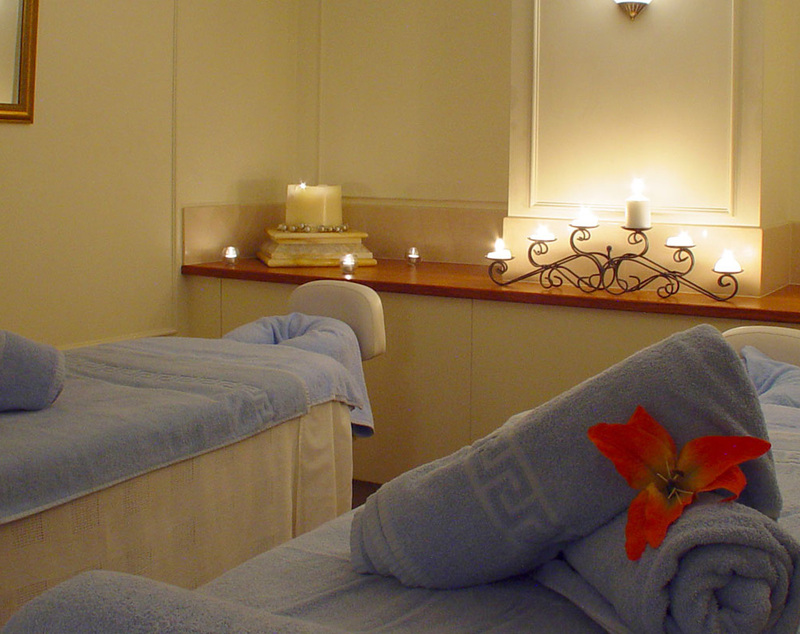 and even an opportunity to make the Palazzo home by buying a one to six bedroom condominium. Versace goes all out in their designs and product and the Palazzos are no exception. 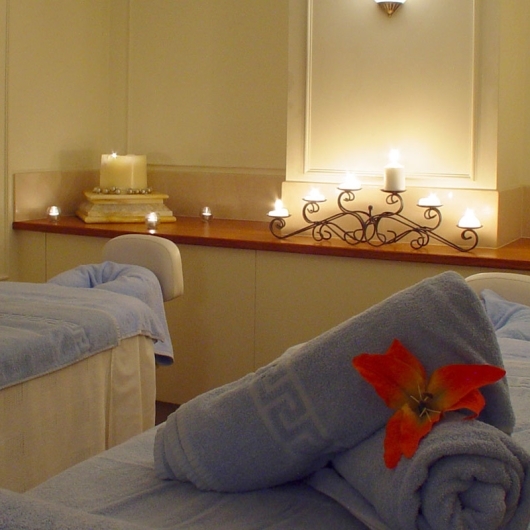 If you travel to the Gold Coast or Dubai (when the Palazzo is finished), then they should be a destination, a great way to be in the hub of the city and get pampered. And who doesn’t like to be spoiled? Especially by Versace.